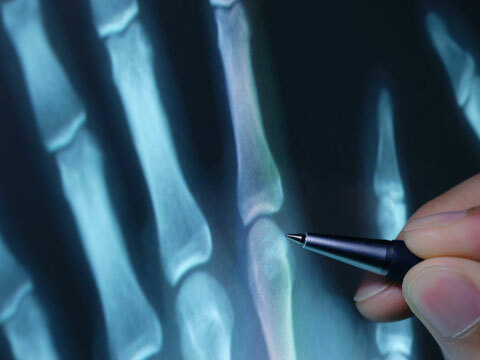 Markham Imaging Consultants is made up of two independent Health Facilities that combined to provide diagnostic imaging in X-ray, Ultrasound and Bone Mineral Density. Imaging interpretation is provided on-site by 11 radiologists. All of our radiologists are specialized doctors who are board certified by the Royal College of Physicians and Surgeons of Canada (RCPSC). 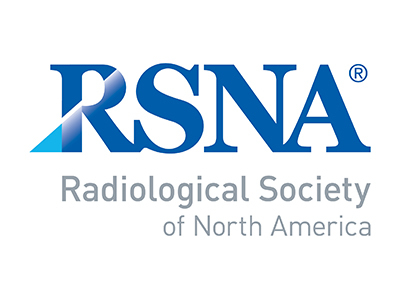 Each radiologist maintains certification through ongoing continued medical educational events. Our radiologists all work at Markham Stouffville Hospital (both Markham and Uxbridge sites). So you can rest assured that you are getting expert diagnosis when you visit our clinics. Our ultrasound technologists are active members of the Canadian Society of Diagnostic Sonographers (CSDMS). As well, they have active registration with the American Registry for Diagnostic Medical Sonography (ARDMS) and/or the Canadian Association of Registered Diagnostic Ultrasound Professionals (CARD-UP). Our ultrasound technologists all maintain up-to-date continuing education as required by their professional associations. 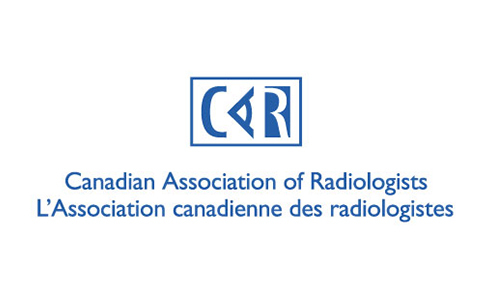 Our X-ray technologists have current registration with the College of Medical Radiation Technologists of Ontario (CMRTO) and the Ontario Association of Medical Radiation Technologists (OAMRT). All of our staff are carefully chosen for their excellent skills and qualifications. Our goal is to ensure your experience with us is pleasant and that we provide you with the best diagnostic information possible. Dr. Meindok received his MD from the University of Toronto in 1996. He then completed his Diagnostic Radiology residency in Toronto and an additional one year Body Imaging fellowship at St. Michael’s Hospital, specializing in MRI and CT. He has been a member of Markham Imaging since 2002. Dr. McLennan received his MD from the University of Toronto in 1986. He completed his Diagnostic Radiology residency in Toronto in 1992 after a short stint doing ER medicine and pediatric orthopedic surgery in New Zealand. He writes regular medical review articles for the Parkhurst Exchange Family Physician Journal and has authored over 450 papers. He has been a member of Markham Imaging since 1992. Dr. Chung received his MD from UBC in 2002. He completed his residency training in Diagnostic Radiology at McMaster University in 2007. He subsequently completed additional fellowship training in Cross Sectional Imaging at St. Michael’s Hospital in Toronto, specializing in CT, MRI & US. He has been a member of Markham Imaging since 2008. Dr. Mehta graduated from the University of Toronto Medical School in 1991. He then pursued and completed a family medicine residency. Following this, he graduated from Diagnostic Radiology in 1997. He also completed additional fellowship training in MRI and body imaging prior to joining St. Joseph’s Health Centre in Toronto in 1998. He was on active staff and the chief of the Diagnostic Imaging at St. Joseph’s prior to joining Markham Radiologists in 2005. Dr. Sharif is dual board certified in Radiology and Nuclear Medicine. His medical training has included University of Western Ontario, University of Toronto and the University of California, Los Angeles. Dr. Choi received his MD from the University of Toronto in 2005. He then completed his Diagnostic Radiology residency in Toronto. An additional fellowship year at Yale New Haven Hospital was completed in Advanced Cardiovascular and Body Imaging. He has been a member of Markham Imaging since 2011. Dr. Carlos de Sequeira received his MD from the University of Witwatersrand, South Africa in 1989. He completed his Diagnostic Radiology residency in 1996. He joined the Central Newfoundland Health Centre in Grand Falls-Windsor, Newfoundland in 1996. In 1999, he moved to the GTA and completed a one year Body Imaging Fellowship at Sunnybrook Health Sciences and University Health Network in Toronto. Dr. Steirman graduated from McGill university with a BSc in 1980. He received his MD from McGill in 1984. He then completed his Diagnostic Radiology residency in Toronto. He has been a member of Markham Imaging since 1991. Dr. Stephen’s university education is from the University of Toronto. He completed his Honours B.Sc. in 1980 and his medical degree in 1984. After completing 2 years of Internal Medicine residency training, he completed Diagnostic Imaging in 1990. He is one of the 3 original radiologists at Markham Stouffville Hospital beginning in 1990. Dr Julio Kan finished his medical degree at McGill University. After his internship in Toronto, he went to University of Southern California for his residency in diagnostic imaging. He returned to study his fellowship in body imaging at University of Toronto. He has been an active staff at Markham Stouffville Hospital since it opened in 1990. Dr. Toor received his MD from the University of Toronto in 2008. He completed his residency in Diagnostic Radiology at the University of Ottawa followed by additional subspecialty fellowship training in interventional radiology at the University Health Network/University of Toronto. He joined Markham Radiologists in 2014.